Iverhart Plus (ivermectin/pyrantel) Pork Liver Flavored Chewables are an effective protection for dogs against heartworm disease and other dangerous parasites. 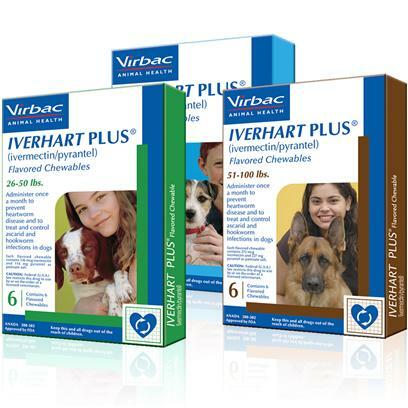 Iverhart Plus tablets are safe, tasty, and easy to administer in once-a-month doses. Dogs will love the juicy pork liver flavor and won't even know they're taking their heartworm medication! Rated 4.5 out of 5 by 43 reviewers. Very Good! So far so good. Iverhart Plus works well for dogs. I will not be using this again!